Congratulations to Coach Ray on this great honor! 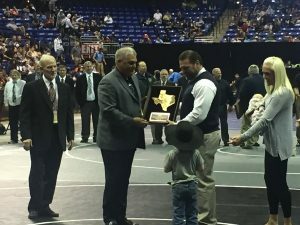 He started wrestling in our district by coaching students from seven different schools and now we host one of the largest wrestling tournaments in the nation as well as host the State Championships! Please click on the link below and when it asks you to log in to facebook, click “not now”. We could not be more proud of Coach Ray and his accomplishments! !